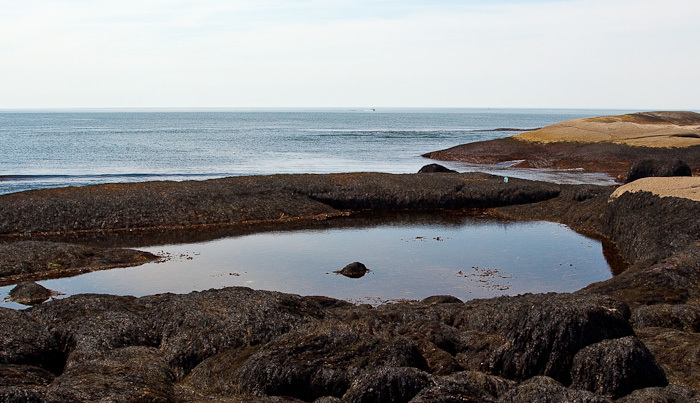 Beyond the necklace of islands at the mouth of my bay, the sea opens as the Gulf of Maine, a system unto itself. 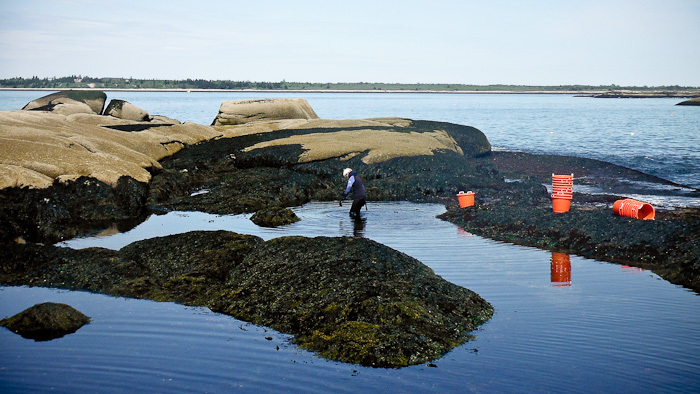 Bounded on the land by Cape Cod, stretching northwards around the New England coastline to the Maritime Provinces, then bounded 200 miles offshore by underwater mountains (the Outer Banks that come close to the surface), the Gulf of Maine largely circulates as a closed system. 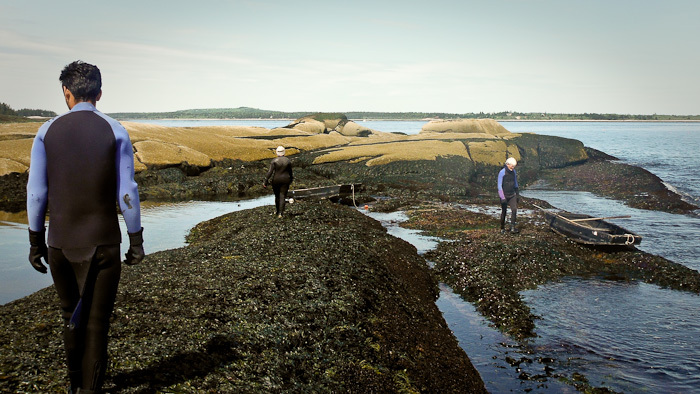 Here in Downeast Maine at the edge of the Gulf of Maine sits an island that benefits from the upwelling nutrients of the Gulf, and as the surf comes over the front ledges of the island at low tide, a tide pool community of creatures and plants is at home. We work in the pool for a few hours, knowing that at high tide, the pool once again will be joined to all the rest. As I survey the pool, memories of other times come flooding back to me. For instance, see the barnacle-encrusted ledge directly behind me in the photo below? I remember a day when I was working in the pool with my sons, Jay and David, and a helicopter landed on that ledge. A man got out of the helicopter and approached me while the rotor still turned. “I film Maine from the air,” he said. “Do you mind?” I replied, “Go ahead!” He returned to the helicopter, and he and the pilot swooped very low over us a couple of times and were gone. Somewhere, we are recorded in his archives. One time a WABI-TV reporter in a rubber raft interviewed and filmed my sons and me while we worked in the pool, and we ended up being reported on the local evening news. Another time, I took a house guest with me to the island. He was a tai chi instructor, and while I worked in the pool, he danced his art on the ledge where the helicopter had once landed. This is the joy of forty years of work, returning to the same place over and over again. Today my apprentices are seeing the pool for the first time, and I delight in watching their discovery process. At the same time, I am seeing in my mind’s eye a helicopter, my boys, WABI rubber raft, and a graceful tai chi dancer. It is all in the past. While the memories play, I return to the breath in the moment, my connection to The Beloved. Maduma, too, is surveying the pool, but for the first time. He’s a natural hunter-gatherer. A hunter-gatherer circles in an ever-tightening spiral, and finally settles in a place to accomplish the day’s work. My choices when I awoke at first light included options that encompass two bays and a string of islands. I have already tightened the spiral by choosing this pool. The tides will not go out very far today. We are between the new moon and the full moon. But the pool offers a sheltered situation, always available, always at a constant level while the tide is out for a few hours. Now the task remains for the Crew to tighten the focus even more. We have landed in two punts, two little eight foot rowboats. The are pine and oak, oiled for 30 springs with raw linseed oil, and they have turned black with age, like old salad bowls. 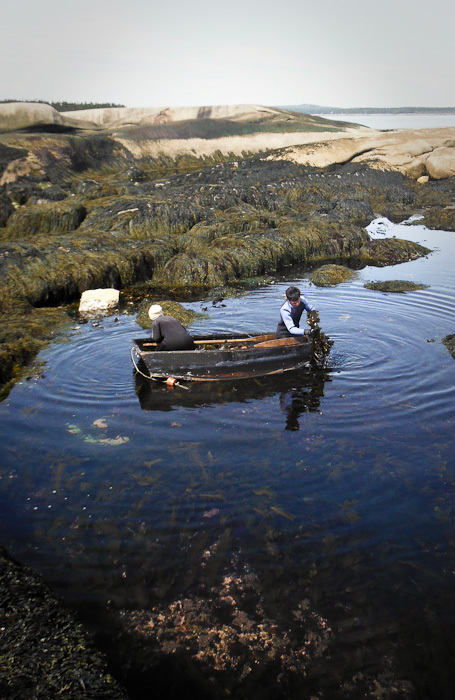 Today the bowls will be filled, again and again, until we have 40 bushels of kelp, about a ton. This ton will be lifted several times before actually being transferred by punts rowed out to the container boat. Then we will tow it all home, and lift it a few more times from boat to trailer to platform to drying lath to final hanging spot in the seaweed dryers. Four people. Together we will accomplish many tons of lifting, in a cold marine climate, a slippery wiggly ever-changing world. It’s no wonder I find the ancient technique of paying attention to the breath to be a stabilizing process. In the apocryphal gospel of Thomas, the disciples ask Jesus, “Give us a sign of the Father.” He replies, “It is a movement and a rest.” Watching the breath is like that. The sign of the Father is always there, helping me learn to deepen my Presence, coming into more coherent alignment with the greater Presence. It’s something like knowing which way the currents are flowing, and rowing with the currents. Just allowing the mind and body to follow the breath, to come back home to The Beloved….that is a happy situation! 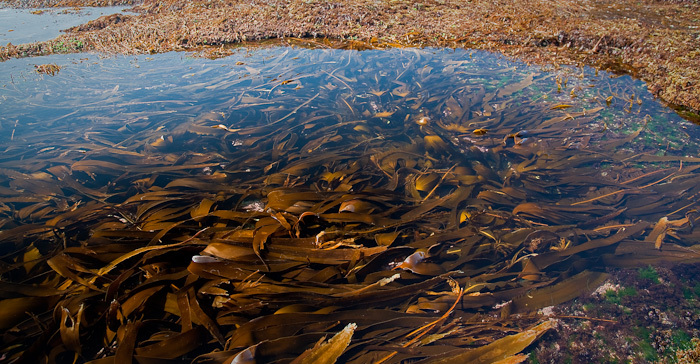 As I survey the pool, I realize that the red zone of seaweeds (dulse and irish moss) is looking strong. 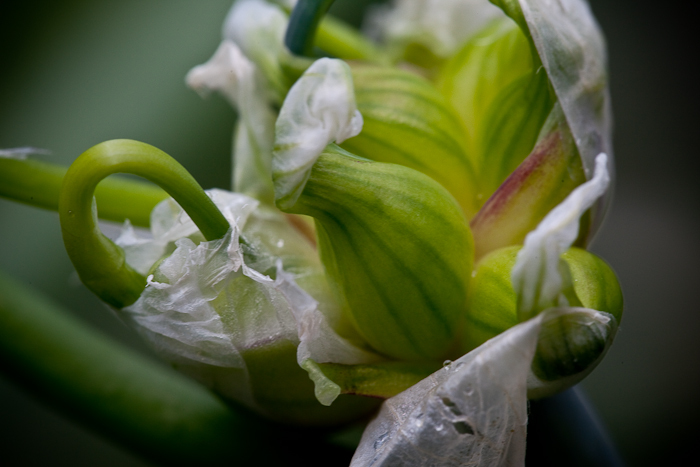 These plants prefer warmer temperatures, they uncover during the summer at low tide, and our bay is warming up. 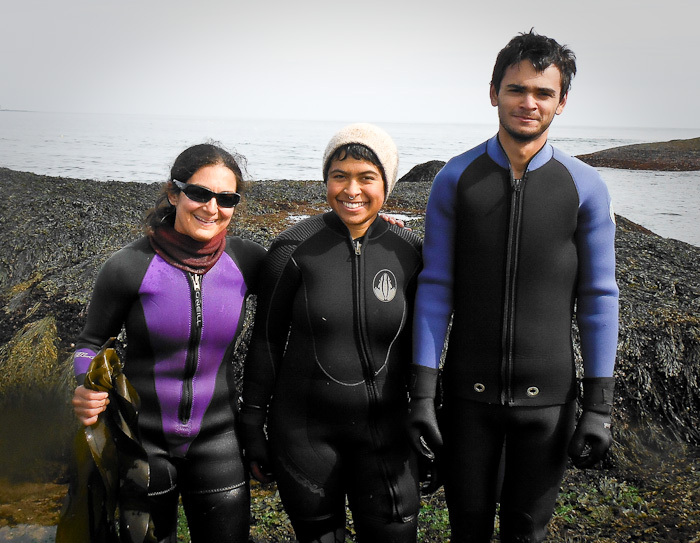 Still, we have plenty of cold-loving saccarina and digitata kelp. The full range of diverse life forms is abundantly present. 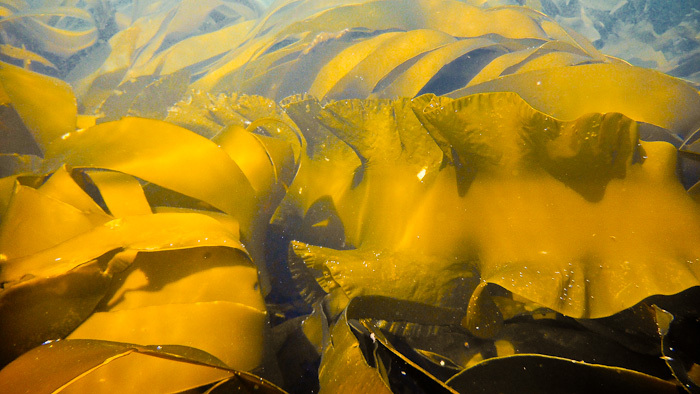 Saccarina kelp has ruffly edges. 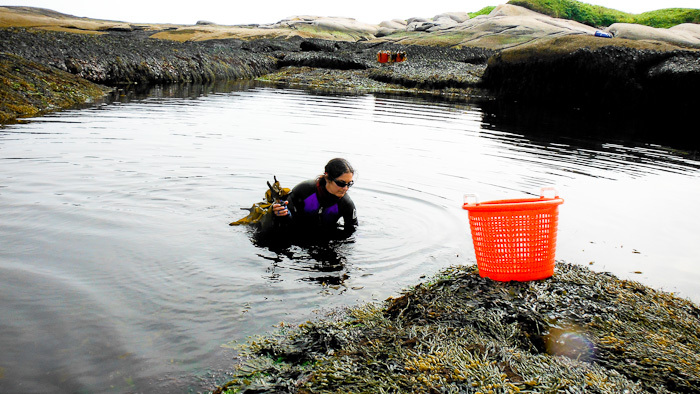 Digitata kelp has ribbon-fingers, “digits” coming from a central “palm”. Digitata has the highest iodine content. Digitata’s alginate content is very high, too, and it nourishes and softens our skin every time we work with it. 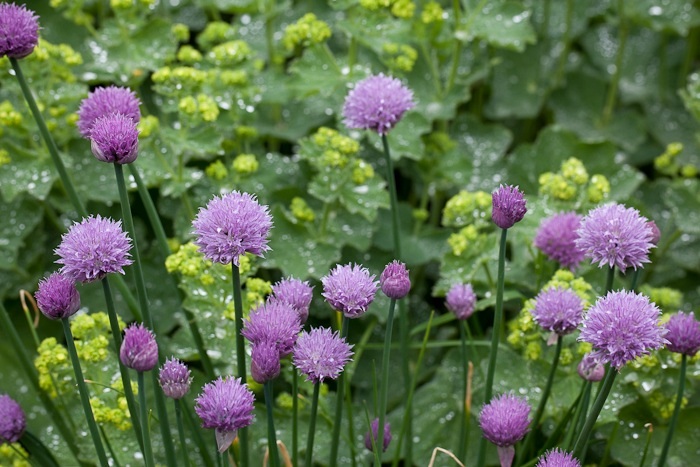 Soon we are all busy, hand-selecting the best plants. There are so many choices! Paba rows while her brother Maduma cuts and hauls. The pool is five feet deep in its deepest parts. Digitata prefers surf and deeper water, and so it is found in the areas of the pool that encounter more turbulence as surf waves crash over the front ledge and pound down into the depths. Saccarina prefers quieter water, and it is found in the shallow and warmer areas of the pool that are in back, away from the surf. Nothing that I do to the pool seems to change this balance. It always comes back to the same distribution. 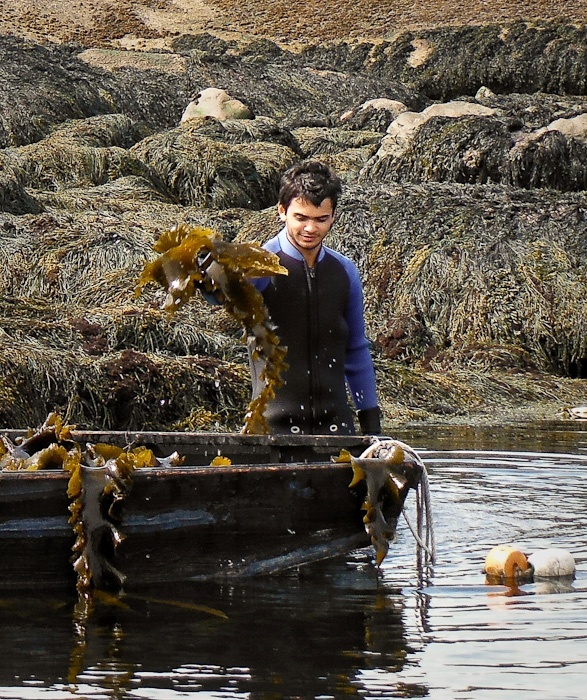 In the background, ascophyllum nodosum, rockweed, totally covers the boulders. When the pioneers kept sheep on the islands, this is what the sheep would graze in the winter time. 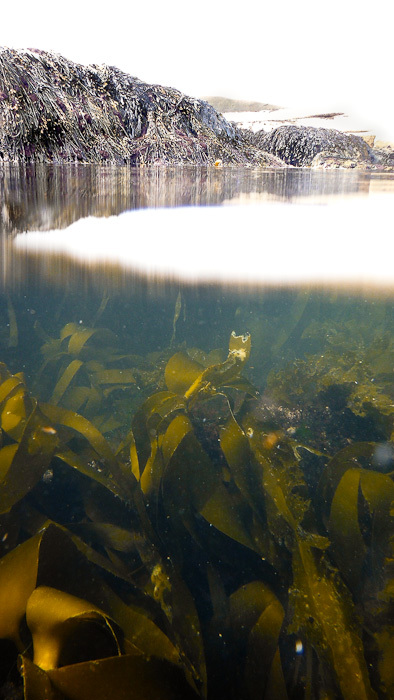 A sheep that was introduced to rockweed early in life would prefer it to pasture. 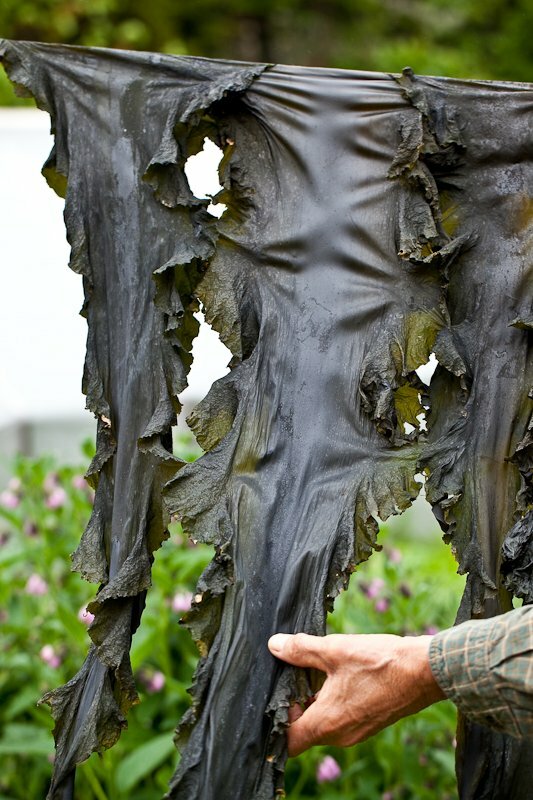 The sheep’s wool would grow wiry, nurtured by all the minerals in the seaweed. In winter time, an animal like this could survive, unsheltered. Shepherds have described to me how they go out to an island in winter time and look for the breathing hole in the snow drifts, indicating that the flock is safely nestled below. 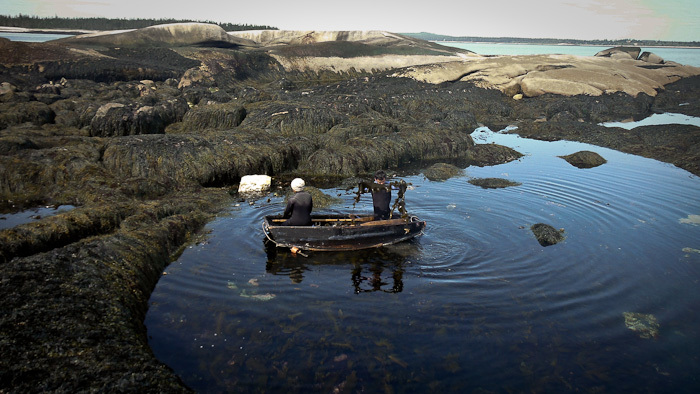 This, too, is memory, held in place by the storytelling of Maine shepherds. 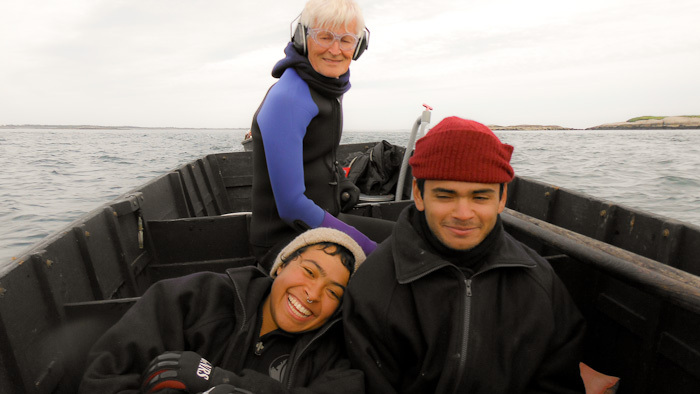 What are people for, if not for holding a memory of place…..a memory that stabilizes humans in community with nature? Maduma has just pulled in a fine saccarina kelp. Sharing this world with each other, we are at peace. Know the depths of The Beloved. Paba creates ripples of peace and clear intent wherever she goes. 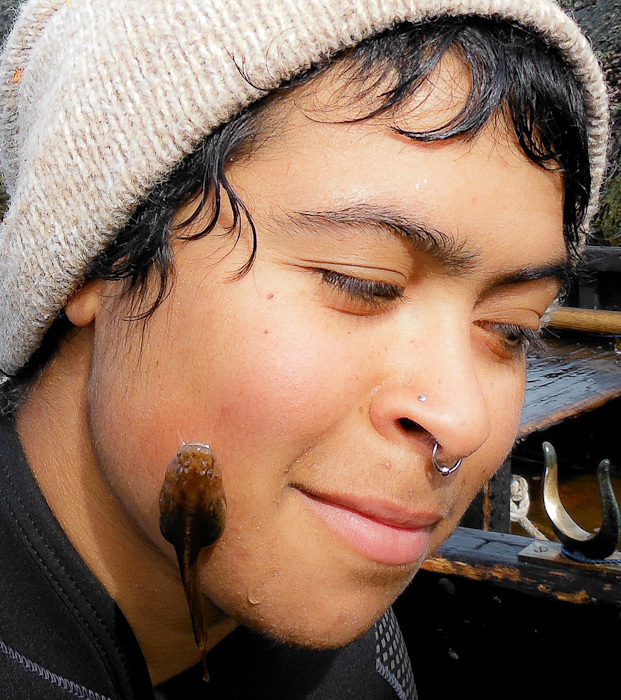 A lumpfish with a sucker plate on its belly clings to Paba’s cheek for a moment. Seeing this photo brings up another memory of a time when an adult lumpfish, bright orange, swam toward me in the pool, and for a moment I swooped my basket underneath it, and we gazed at each other. Another time, a lobster trap had washed into the pool during a storm, and there was a live codfish inside the trap. That day, I played the benevolent jailer, releasing the prisoner back to the open world. 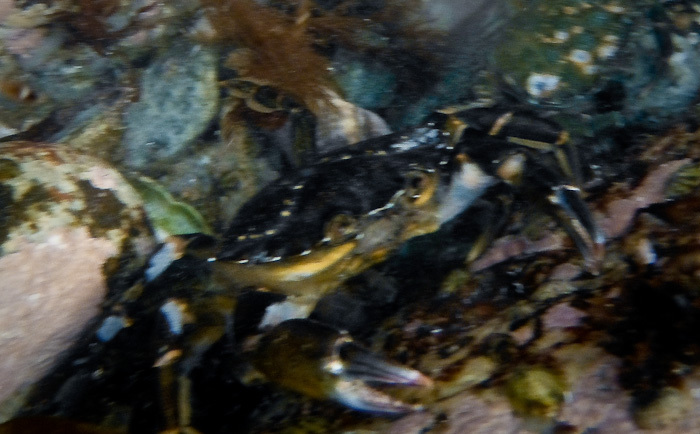 This crab had its underwater picture taken by Dawn before it was brought to surface for a portrait close-at-hand! The work accomplished, the crew is ready to load up and go home. A day later, perfectly dried saccarina. The fans have done most of the drying. The temperature in the dryer has remained moderate, below 85 degrees F. The old man knows his art, when to open the exhaust vents in the dryer, when to close them down and finish the drying. 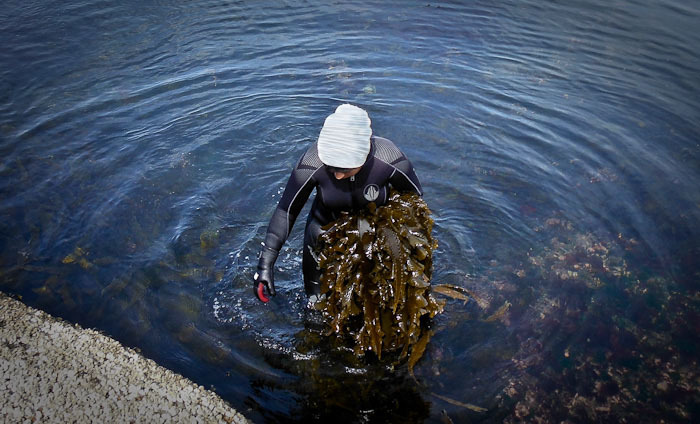 There is an economy of motion in this dance, moving a ton of wet seaweed from the wilds, and a day later, packaging it as 200 pounds of perfectly dried nutrient-dense kelp. 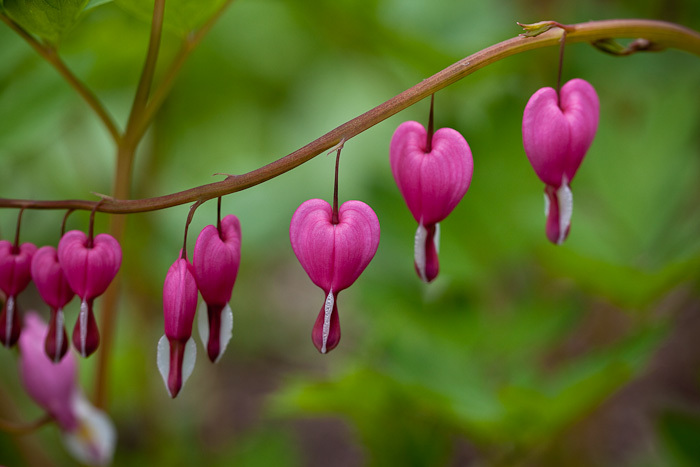 Bleeding heart, an essence developed at the height of Lemurian mental horticulture when plants were created through creative visualization and meditation, is a fine remedy for stimulating and harmonizing the heart and the heart chakra. 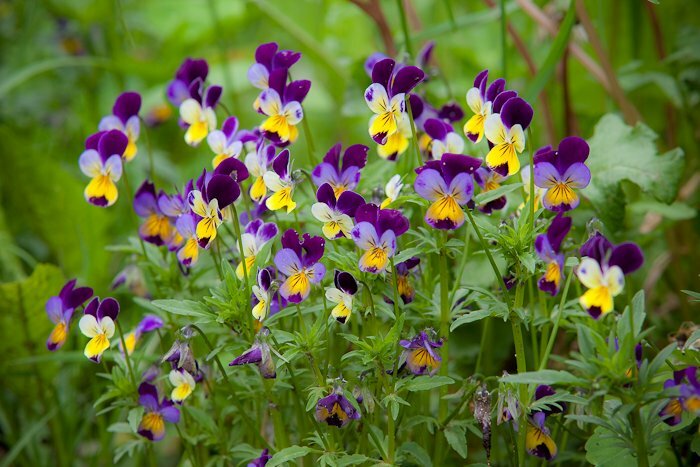 Johnny Jump Ups bloom in unheated greenhouses throughout the entire winter. 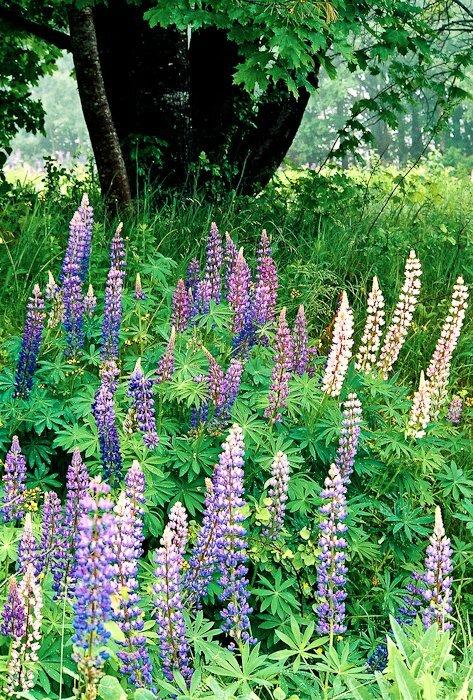 They flourish in the garden in summertime. 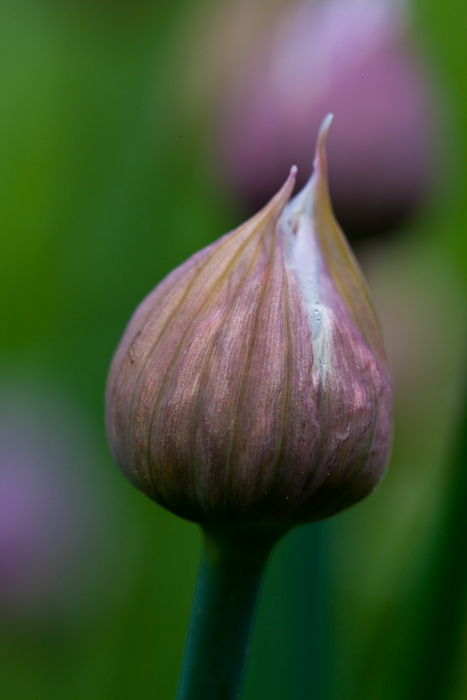 Chive bud, ready to open. Comfrey, bringing the pollinators. 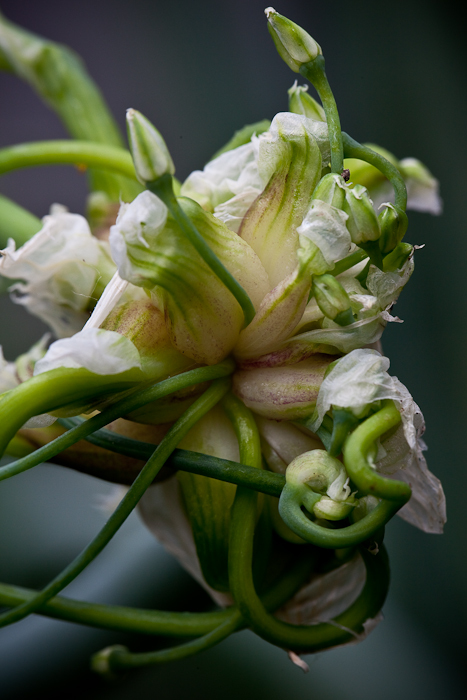 After the comfrey has bloomed, we will cut the comfrey down and interlayer it with seaweed in the compost pile. 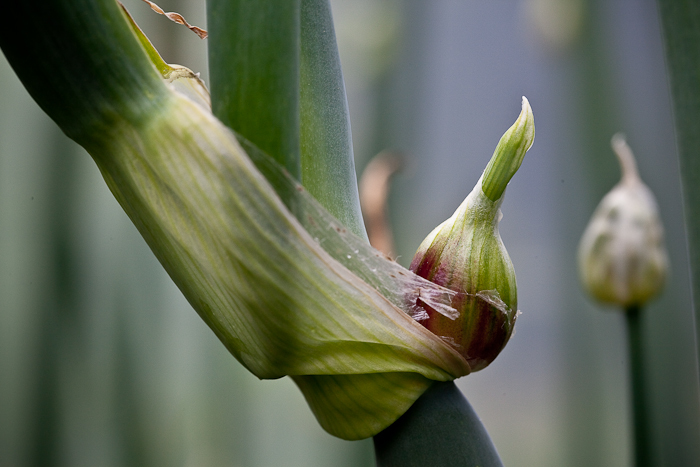 The fibrous stalks help introduce air into the pile. 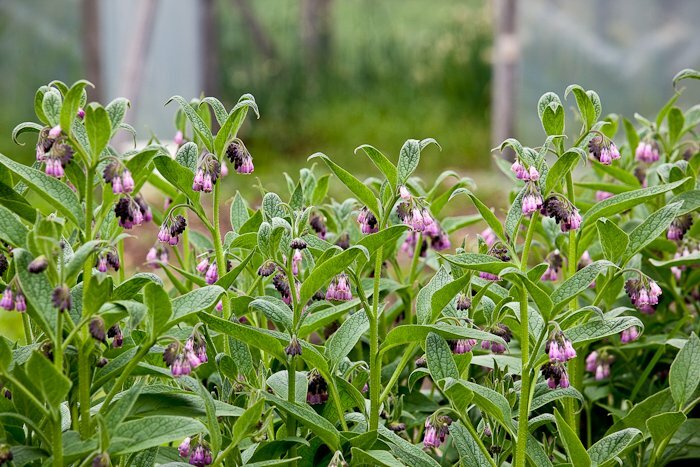 The comfrey will grow tall again, giving us a second cutting in the fall. 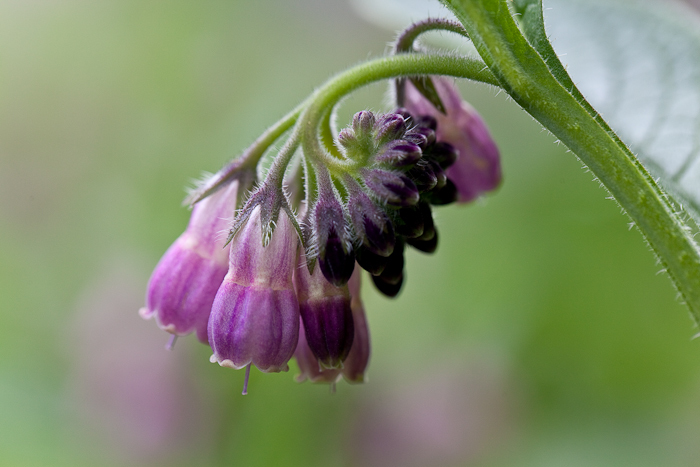 Comfrey essence is a powerful tonic for the nervous system. 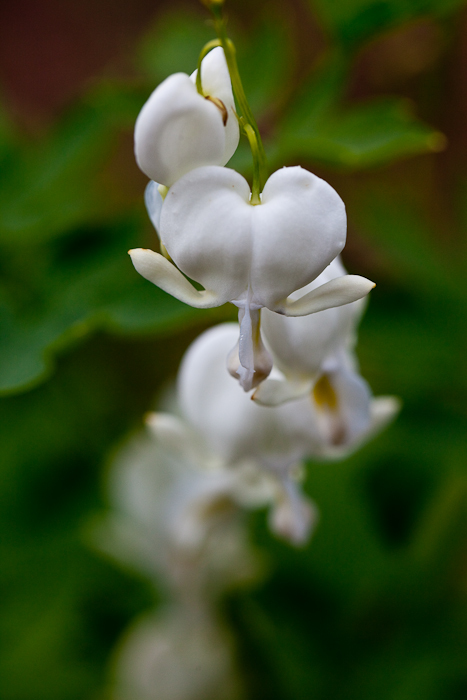 It invigorates the activity of the synapses beween nerve cells. It was developed in early Lemuria when there was a need to develop the physical body to increase telepathic abilities. This allowed neurological tissues to act as grid or screen for receiving information through the transmission of the physical body’s biomagnetic field. 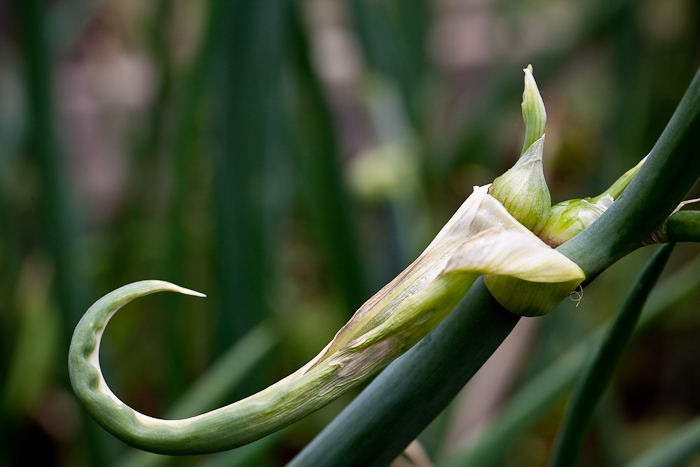 This is a secondary form of telepathy, and I use it when communicating with plants. 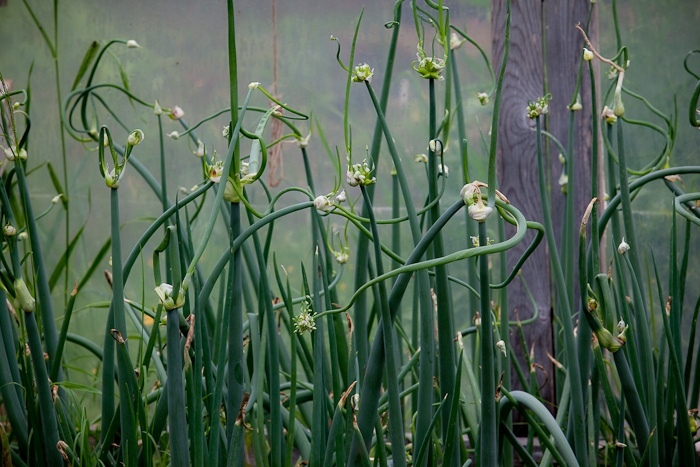 The Egyptian walking onions are dancing wildly. 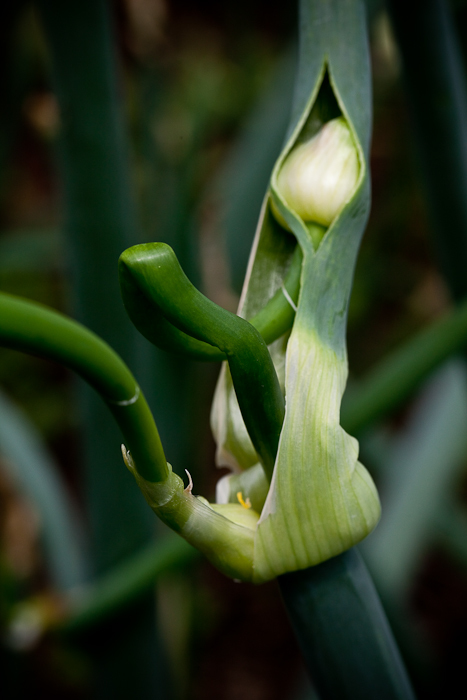 Plants are sentient beings, a form of consciousness. 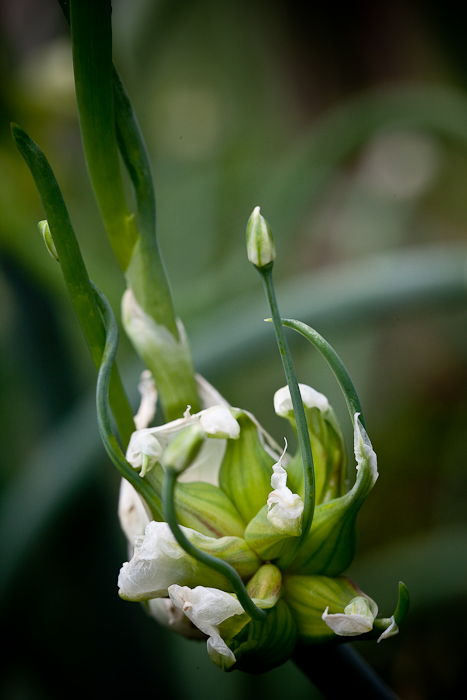 They embody the realization that life is a dance, an unfolding process. 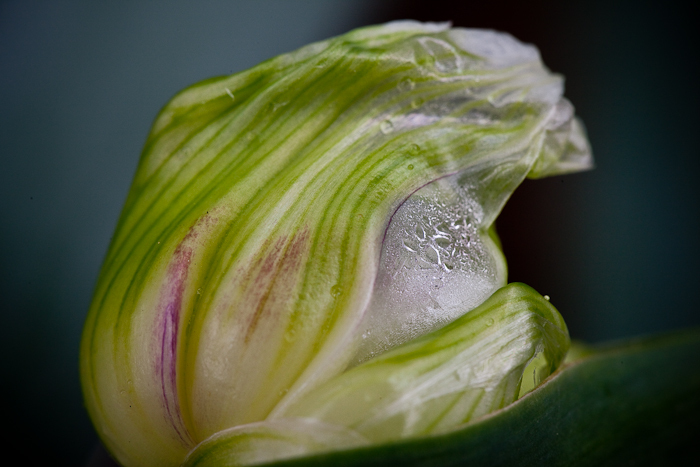 I am enjoying theses photos of the coast and garden- as the snow falls yet another day with gray skies and the green blanketed by a frozen carpet. 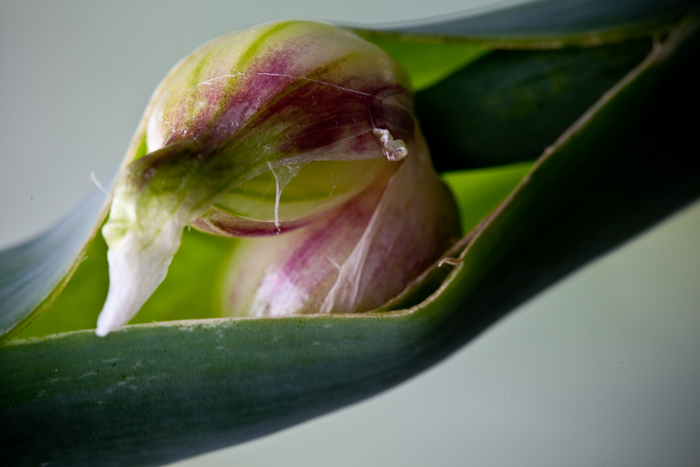 Spring is coming- she is resting as to burst forth in splendor with a welcomed entrance. Your website communicates peace. Having read all I could, I feel as though I’ve been through a wonderful meditation. 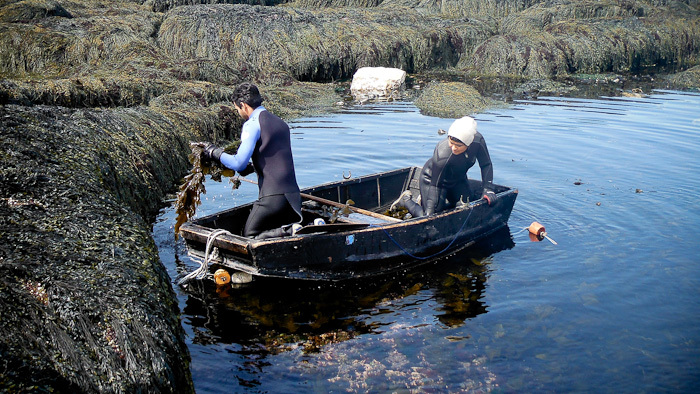 I discovered you, happily, when I looked for a place to buy Maine seaweed. Thank you for all the care you take with this product, and your website, and the earth. It is inspiring. I am contemplating a visit to see you, since you are so welcoming toward visitors and north central Florida, though beautiful at all times, is good to leave in midsummer. Thank you, again! Let me know when you want to visit, Ona, and I’ll send you directions to Middle Heaven where ten tent platforms are set up with tents for the summer community, the Circle of Friends. Such beauty! in the words, the plants, the smiling faces and the sea. What great adventures, thank you! 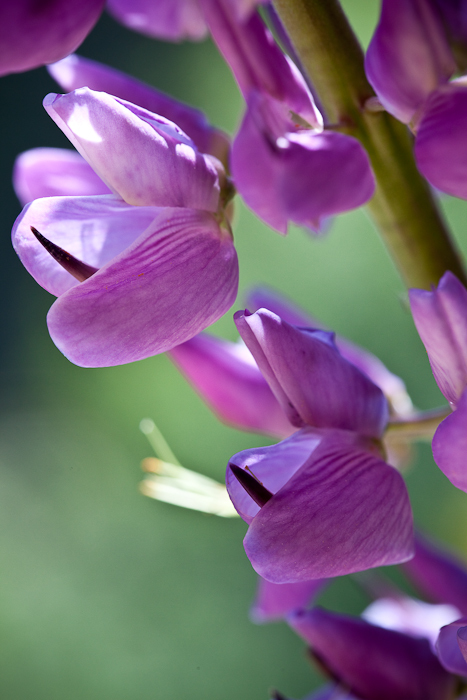 I so enjoyed reading your posts and taking in all of the natural beauty shared in all of your photos. I’ve traveled through New England; lived in Boston many years ago; now live in Maui. 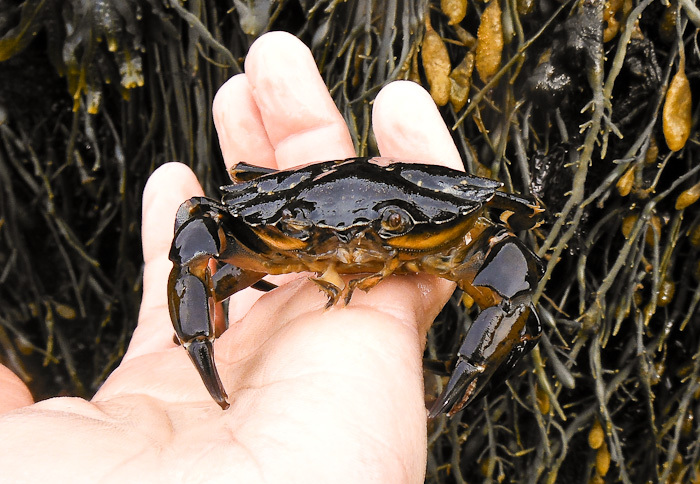 I do enjoy your dulse in particular. I can smell the ocean when I look at your photos; the Atlantic has it’s own unique aroma, very different from the Pacific. 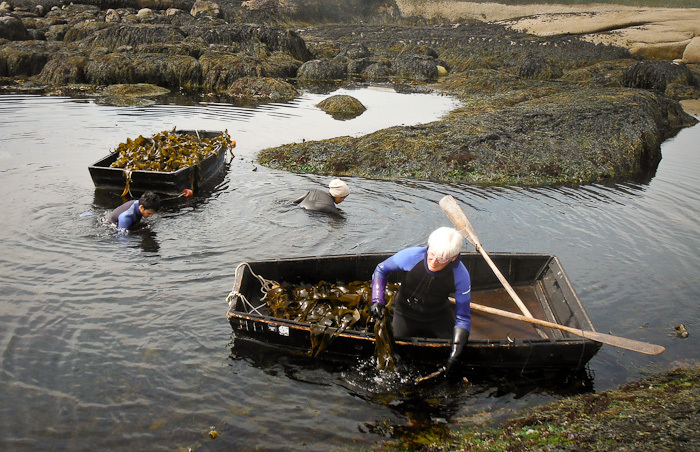 We can’t forge for wild sea lettuce here on The South Shore anymore; there were fields of it growing in the shallows of North Kihei beaches. Development has killed off those vibrant green tender fields. 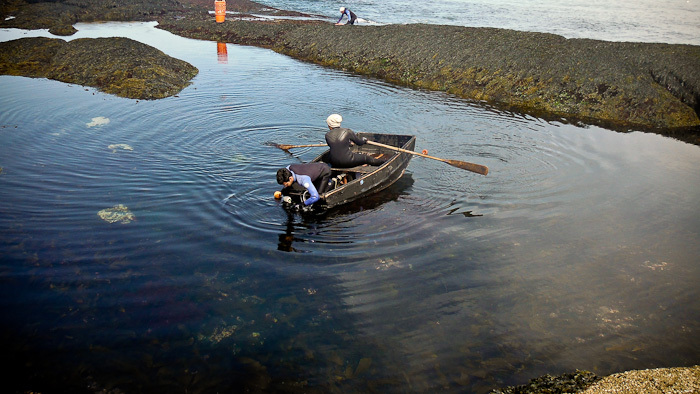 I’d forge while snorkeling with older Japanese-American ladies who would wade in. Thanks again for sharing; I’ll be back. 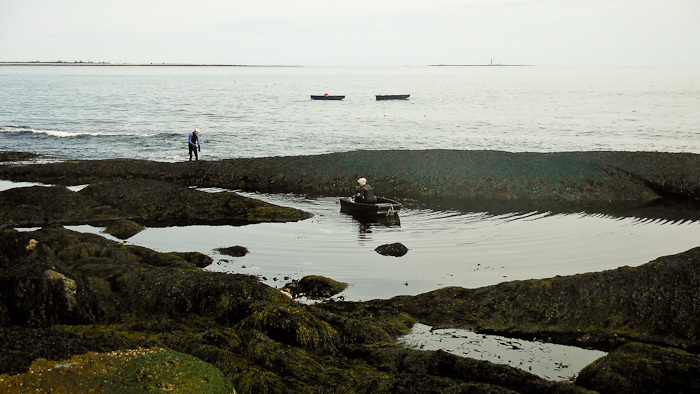 I live just north of Seaward’s Cove on Gerrish Island in Kittery Point, Maine. It’s just across the harbor from Portsmouth, NH. I grew up here summers as a child and now live here with my wife all the time, since 1975. I’ll be 80 later this year. Our three children grew in this oasis. 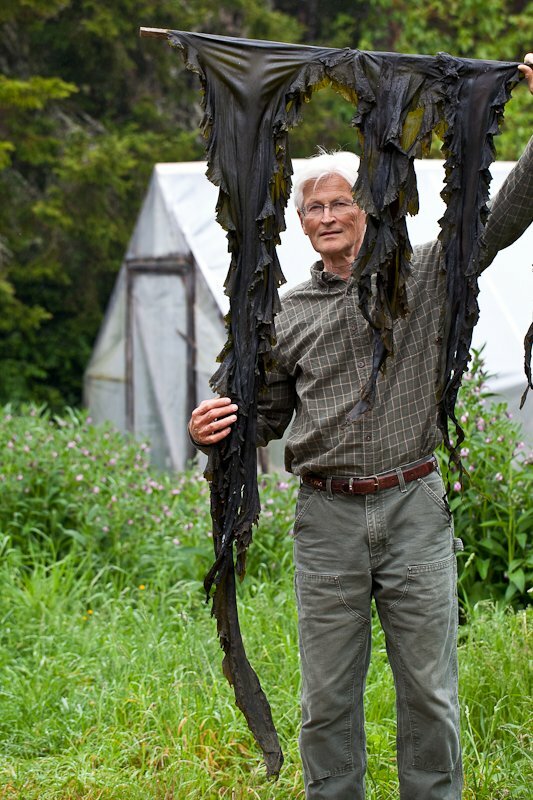 I was reading about regenerative farming and saw a link to you and enjoyed sharing your life and work there, downeast. Lovely. Nicely done. Thanks.